When you are thinking about your plumbing you most likely picture lots of pipes. Maybe the sink or bathtub or toilet comes to mind. You most likely never even think about your plumbing vents. But having proper venting is essential to your plumbing. Plumbing vents what are they? Within your home there are special pipes leading from some of your appliances to an outdoor location. These pipes are referred to as your homes venting system. Most of the time these pipes lead up to your roof; however this is not necessarily true in all cases. In plumbing these vent serve a very important job. Vent pipes do not carry water but rather they carry the sewer gases that naturally build up within your system. If theses gases were not safely removed by the plumbing vents, you could potentially become ill from the backed up gases. Oxygen is needed to assist with the aerobic sewage action which is necessary for the breaking down of waste within the system. Plumbing vents bring this needed oxygen into the system. The vents help in the maintaining of the water seals in your plumbing traps, as well. This in turn stops sewer gases from entering your home. In your home the proper movement of water and waste through your plumbing system is helped by the plumbing vents. This is because the correct neutral air pressure is maintained by the plumbing vents. Gravity is able to successfully keep the flow of water and waste moving through your system as a result of this pressure being maintained. Pipes with in your system must also maintain a downward slope through your entire home for there to be proper flow. This is in addition to the proper venting. Is it really necessary to maintain the neutral air pressure? The pipes in your system are able to maintain neutral air pressure when compared to its surrounding atmosphere when there is no water flow with in the system. However as waste and water move through the pipes it can act like a piston creating pressure build up. Downstream, the air in the pipes becomes compressed creating positive pressure at the same time the air upstream can create a vacuum effect pulling the waste back in to opposite direction. The positive pressure in the system must be relieved. If not it will continue to push back against the waste stream. Like wise, at the same time, the negative pressure must be released in order to prevent the system from sucking the waste water back. The volume of water discharged at any one time will be the deciding factor of hoe much pushing or suctioning will occur. Vents allow the system to maintain the proper pressures allowing for the flow of waste and water. The shortest trap seal is almost always in the toilet. If the negative air pressure causes the toilet to become entirely empty, the result may be to allow sewer gases to enter your home. Are plumbing vents something I really need to have? To be in compliance with building codes, every fixture in your home must have a water seal trap. Additional, with just a few unique cases, each fixture must be vented. Often people do not consider the importance of proper venting when it comes to plumbing. You risk both your health and comfort, if you do not have proper venting in your home. You should keep in mind the importance of properly installed venting and seek out the help of a professional to install these for you. Don’t put you or your family at risk. Where the plumbing vents should be placed is a good question to ask? A vent stack is required by most codes. 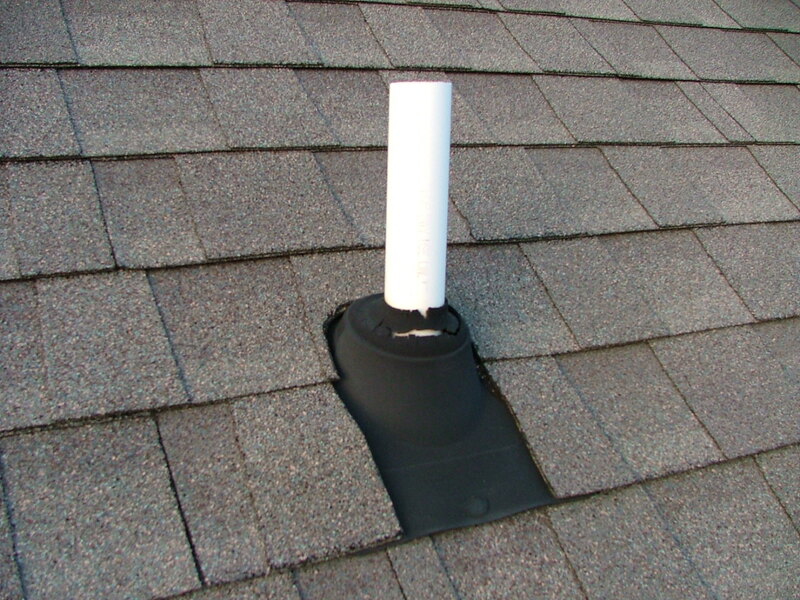 A vent stack is a pipe leading to the main roof vent of your system. It requires that a vent be place within a radius of five feet from every fixture. This means that you are required to have a vent within a radius of five feet for all your sinks, toilets, showers, and bath tubs. Is it possible for a plumbing vent to get clogged? Plumbing vents do commonly become blocked. During the winter it is possible for ice to build up and cause a clog to your vent. There are times when leaf debris or even a dead animal may clog your vent. In older structures you may find there are horizontal areas of a vent that may fill with rust. You can often tell if a vent is clogged. If you see bubble in your toilet when it is flushed or you are experiencing slow drainage you may have a clogged plumbing vent. Sometime you can hear glugging sounds as a fixture drains. If you find that you have gas escaping from your water trap you may well have a clogged vent in your home. If you’re looking for a professional Bend Plumber then please call us today at Deschutes Plumbing (541) 385-6060.